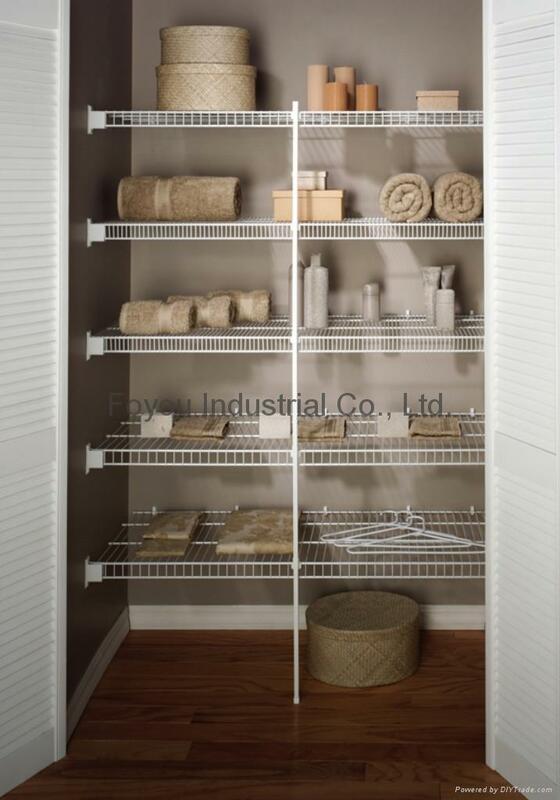 For storing clothes, towels, etc. The standard length is 12feet (3657mm). But, we can also produce them in short lengths like 30", 48" or 60", and mix different models (Linen, Shelf rod, Feeslide, Tight/close mesh) as one complete set (with installation hardware). People can open the box and do DIY installation easily. The coating will not get stained nor color faded in a long time of 5 years or more. - all the wires are welded together strongly, the welding points look clean and nice. - the wire shelving is straight along the whole piece. 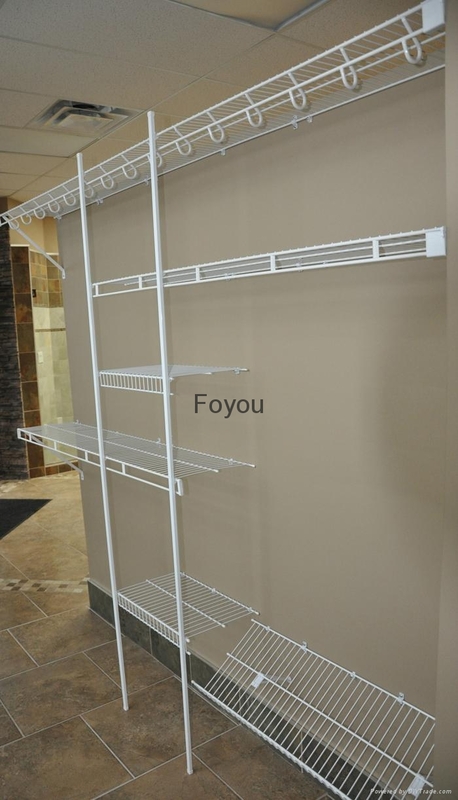 - Epoxy powder coating ensures a nice appearance and long time use.